The terrific trio are back from the holidays to supply their usually incredible listening content. 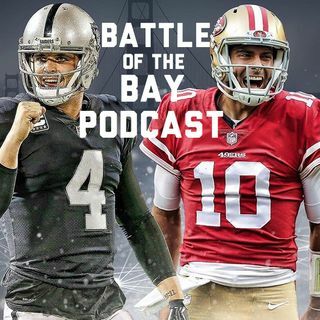 Feast your ears on a break down of both the 49ers' and Raiders' tumultuous seasons as well as an overview of the coaching carousel. To hear us struggle to come up with New Year's Resolutions, tune in to "Michael's Question of the Day" at 49:38.